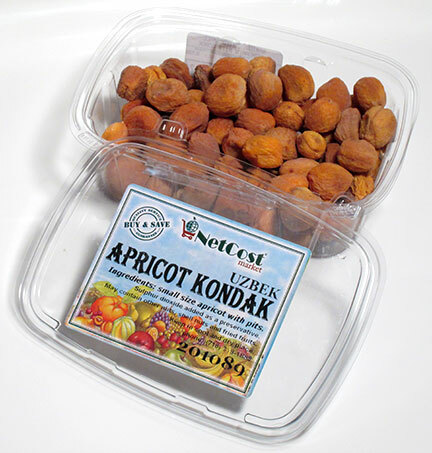 When I went looking in a Russian grocery in Queens (right after my visit with Amnun and Zoya) I couldn’t find the same dried yellow plums that they had used, so instead I got a box of something that looked similar called Uzbek Apricot Kondak, which on the container were translated as “Small Size Apricots with Pits” (photo below). 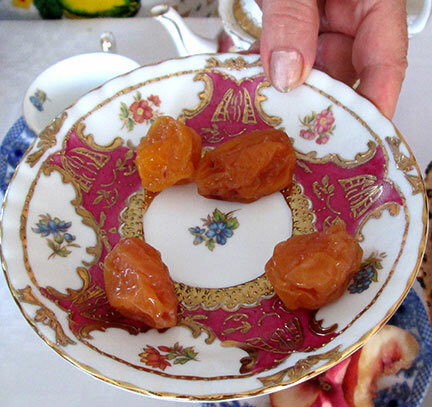 The Apricot Kondak were much more sweet than the Olucha that Zoya had used but looked pretty in the soup (make sure to warn guests about the big pits!). Perhaps the next time I would try to use a more sour apricot like the California variety. 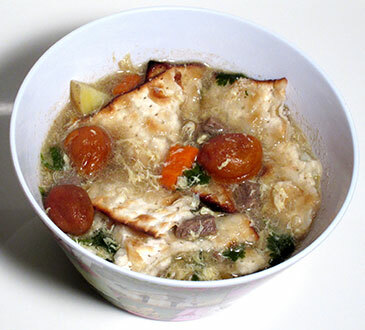 After emailing Amnun about this he told me that the taste of the soup should have a slightly sour flavor, so if you cannot find the dried sour plums you should add a few tablespoons of lemon juice instead. freshly squeezed lemon juice until you have reached desired tartness. 1. Pour oil into a large 4- to 6-quart pot or saucepan and warm over high heat for 1 minute. 3. Pour in broth (or water), and add bone(s), salt, and pepper and bring to boil over high heat. Reduce to a medium heat and simmer for 15 minutes, uncovered. 5. Add the carrot and potato pieces, and chopped sorrel (or coriander leaves) and mix well. Cook 10 minutes over medium heat, just until potatoes become soft but not mushy. about ½ a square matzah broken up into each bowl. 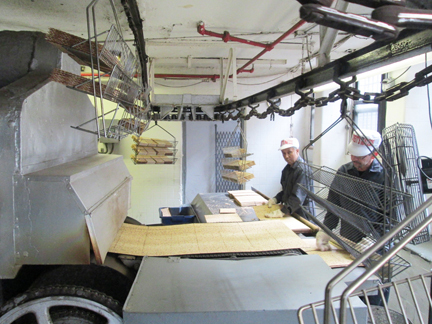 Streit’s matzah factory preparing six months before Passover! 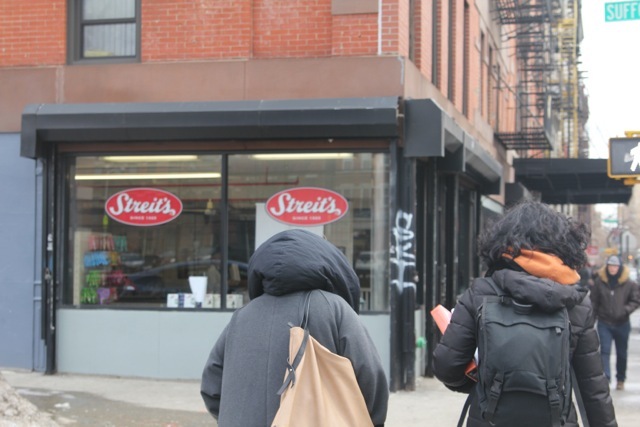 On our way to Streit’s matzah factory! 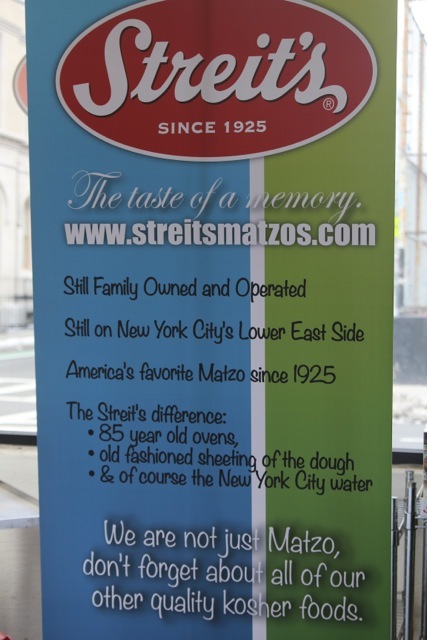 Window sign at Streit’s matzah factory on the Lower East Side. Streit’s was first founded by Aron Streit (an immigrant from Austria) and his wife in 1916. The factory was originally set up on Pitt Street on the Lower East Side, but the present location on Rivington Street has been the same since 1925, and is still family owned. Each trip to the factory I learn something new and interesting. For example, the factory looks small since you see only the store and one of the machines upfront, however the factory is actually four buildings wide and several floors high, and where ALL of the Streit’s matzot and other products are produced for all commercial sales. On the shelves you can purchase more than just simple matzah. 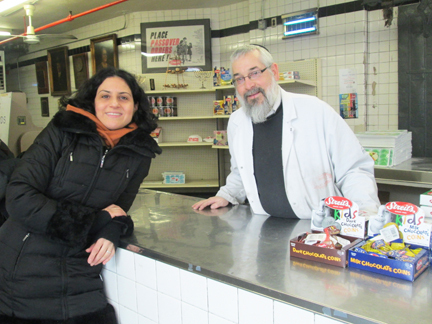 Red jelly candies called, “Gefilte Fish” hanging in small bags on the wall bring small chuckles from customers, while on the shelves sit a variety of matzah types such as whole wheat, organic, spelt, and egg — all of which reflect the modern palate. Rabbi Kirshner noted that for half of the year they are producing matzah and related products for every day consumption. I was curious about who all of these people were that bought matzah year-round (for me it’s really just something that you do during the week of Passover once a year) and he further went on to explain that there were a number of customers who enjoyed the crispy texture of the matzah, and felt it to be a healthier substitute for crackers and breads since it was low in salt, sugar, and fat. 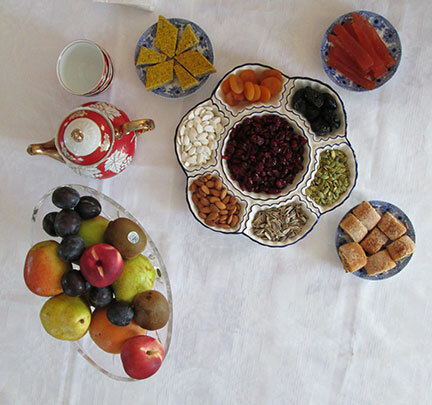 These matzot also contained some added ingredients, such as vegetable oil or seasonings, while the ones made just for Passover time only have flour and water. The original matzah making “printing press”. Closeup of matzah rolling out of oven. The preparation of kasher-ing and cleaning the entire factory and machines (to produce matzah that is KLP, or Kasher L’Pesach) began as early as Sukkot, six months before Passover begins (on this morning I noticed that the non-KLP products were on sale by 50% in order to start cleaning the shelves and make way for the KLP ones in mid-March). During this time they meticulously take apart each machine (removing every tiny screw), carry them to the curbside, and clean them in the appropriate fashion before reconstructing the machines again. This is serious stuff, and I thought about the amount of time, money, and dedication it takes to keep this business going. The other very important factor is the preparation of the matzot for Passover. 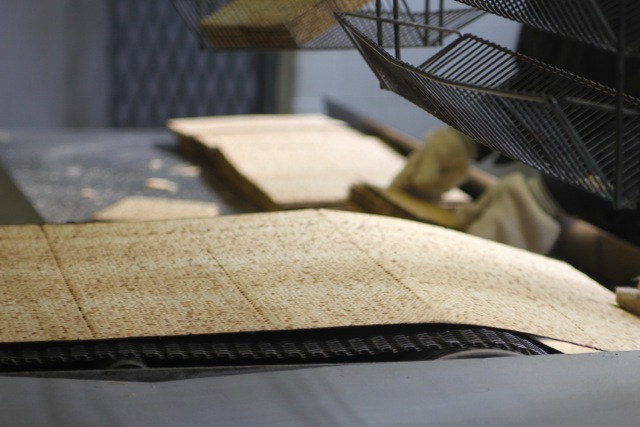 For these you have the rabbis overseeing the production to make sure that the total time that it takes for the matzah ingredients to be mixed together, rolled out, cut, and completely baked must be no more than 18 minutes from begging to end. The understood rule is that it is believed that up until 18 minutes the dough has not had enough time to rise in any way. After 18 minutes the leavening process begins, making the matzah unkosher for Passover consumption. In order to be sure that there is no contamination, the mixers have to be thoroughly cleaned between each batch so as to be sure that there are no small remnants of dough left that could have leavened during that time and affect future batches. I started to shake my head in amazement thinking how exhausting this whole process was. But then I smiled realizing that what made this factory so unique was not simply that it still existed after all of these years on the Lower East Side, but that its owners had been training its staff how to follow the same stringent rituals of producing their matzah as their great-grandparents had. The patient and religious attention to detail is paramount to the quality and integrity of the product, and what it symbolizes. I have had several individuals confide in me that they would never eat matzah any other time of the year because “it tastes like cardboard”. 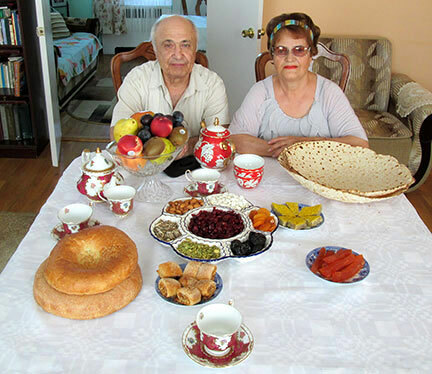 But on Passover, the taste is familiar and delicious. This is because the matzah tells a story of our Hebrew ancestors when they were fleeing from Egypt and did not have enough time to let the dough for their bread rise in the usual way. When you bite into that first piece of matzah on the first night of Passover, you know that the traditions have been kept for centuries, and even as a fairly secular Jew, I respect that dedication to observance. 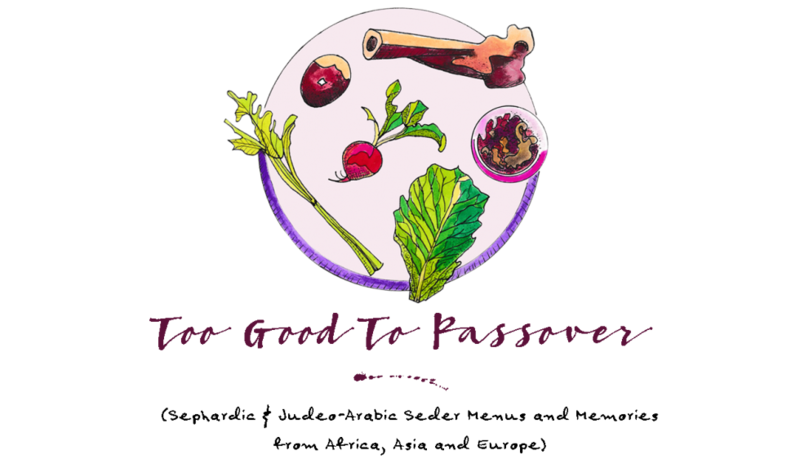 This is the aspect of Jewish food, and particularly Passover food, that I love and want to help keep alive. 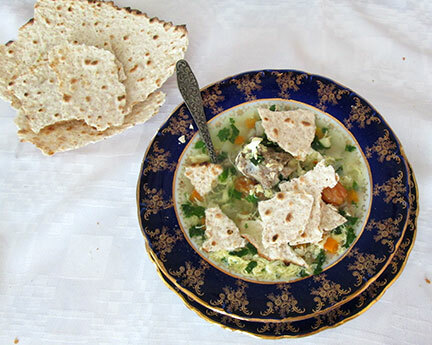 Without the rigorous attention to detail inherent in these ancient Passover rituals, the matzah would cease to be special, and so would the holiday itself, even to those of us who are less observant. New York Times, April 2012.